Beautifully Engraved 1950's Japanese. 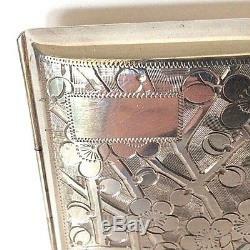 950 Sterling Silver CIGARETTE CASE. 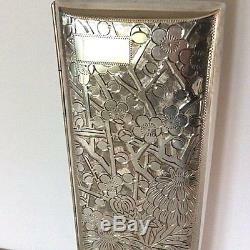 It is stamped inside SILVER 950 and has within the outside engraving a small rectangular box for personalization (which has not been used). 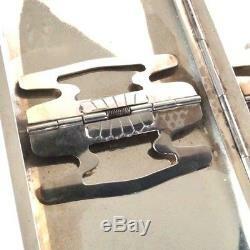 It seals up tightly and is opened by slightly sliding the top toward one end which releases a small lid catch inside and allows the spring loaded top to open. Although there are no markings to indicate when, where, or by whom it was made, we do know that it was acquired by the former owner through a military PX store in Japan in the very early 1950's. We see nothing to indicate that it has ever been used and, although designed to hold cigarettes, it can certainly be repurposed to hold or encase jewelry or any number of other items. 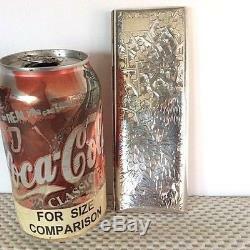 Net (before packing) weight is 5.05 troy ounces. Unless otherwise mentioned above or herein, this item or items is/are in excellent pre-owned antique or vintage condition and is/are free from dings, dents, chips, nicks, cracks, hairlines, stains or discoloration, heavy scratches, repairs, or other significant issues of mention. Thank you for looking at, and considering this offering. To your Favorite Sellers list. 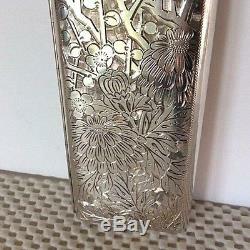 The item "DUTCH AUCTION Engraved 1950's Japanese. 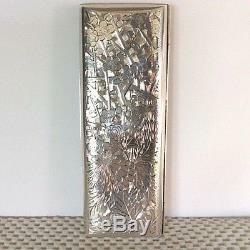 950 Sterling Silver CIGARETTE CASE" is in sale since Monday, January 7, 2019. 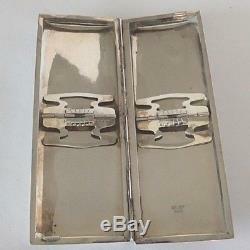 This item is in the category "Antiques\Silver\Sterling Silver (.925)\Cigarette & Vesta Cases". 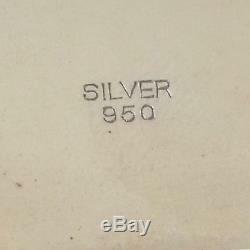 The seller is "estate-archaeologists" and is located in Sun City, Arizona. This item can be shipped to United States.